Dr. Laurianne BRUNEAU is the founder and director of the MAFIL. She is a specialist in the arts and archaeology of South and Central Asia. She has carried out fieldwork in Indonesia, Pakistan, Uzbekistan, Turkmenistan and India. She completed her Phd thesis dedicated to the petroglyphs of Ladakh, from the Bronze Age to the Buddhist period, in 2010. She is now an associate professor at the École Pratique des Hautes Études (PSL Research University) and a permanent researcher at the East Asian Civilisations Research Centre in Paris where she is co-directing a research program on the “Archaeology, arts and material culture of the Tibetan cultural realm” (2013-2018). Her current researches interests are the rock art of the Western Himalayas and early Buddhist architecture. Since 2017 Laurianne is co-applicant, along with Dr. Jason NEELIS (Wildfrid Laurier University, Canada) and Dr. Muratza TAJ (Lahore University of Management Sciences, Pakistan), of the project “Upper Indus petroglyphs and inscriptions in Northern Pakistan: A partnership for cultural heritage” funded by a Development Grant of the Research Council for Social Sciences and Humanities of the Canadian Government. Since October 2017, for a period of five years, she is a delegate at the Institut Universitaire de France (IUF) for an interdisciplinary research project on early Buddhism in Ladakh. 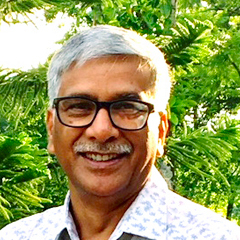 Prof. Vinod NAUTIYAL is professor of archaeology in the Department of AIHC&Archaeology, HNB Garhwal University Srinagar, Garhwal, Uttarakhand, India. During the last 37 years, Prof. Nautiyal has been mainly carrying out explorations and excavations in Garhwal Himalaya. He was the co-coordinator of Special Assistant Programme of the University Grant Commission (UGC) Programme for 10 years. During the last five years he has been investigating in the Trans-Himalayan region of Kinnaur in Himachal Pradesh where the two important burial sites of Lippa and and Kanam have been excavated which has put this borderland region in the map of Indian archaeology. 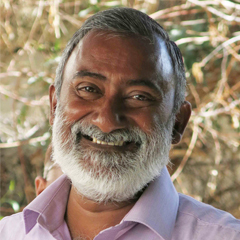 Besides archaeological investigations, Prof. Nautiyal also holds interest in the application of scientific techniques in archaeology as well as in 3D visualisation of archaeological artefact. He has been instrumental in initiating various international collaborative programme under DST-NSF project of Department of Science and Technology from 2003 to 2005 with North Dakota State University,USA and Indo-US S & T programme in 2006 and in 2015-16 with Virginia Commonwealth University, Global Virtual Classroom Initiative in 3D VR models. 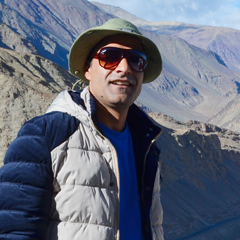 Prof. Nautiyal is a member of academic bodies and is a widely travelled person and has delivered numerous invited lectures on Himalayan Archaeology in India and abroad. He has published various papers in national and international journals. He has also supervised many doctoral candidates during the last 25 years. Martin Vernier is the joint director of the MAFIL. He first went to Ladakh at the age of 16. Since then he has spent every summer in Ladakh and learnt the local dialect, customs and traditions. As part of his Fine Arts studies as a painter and sculptor, he spent a year in Dharamsala to study traditional Tibetan artistic techniques. He also collaborated with the Amnye Machen Institute (AMI) for museum and artistic projects. 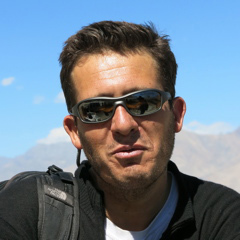 Since 1996 Martin has focused on the historical and archaeological heritage of Ladakh. Laureate of a research grant, he spent two years (2003-2004) exploring and systematically documenting in the petroglyphs of the region. He created the first electronic database and published the first monograph on Ladakhi rock art. He now conducts research on the stone Buddhist steles and reliefs. Thanks to his artistic background he is in charge of archaeological drawings (objects and architecture) for the MAFIL. Married and the father of three daughters, Martin presently shares his time between archaeological research on Ladakh and travels in the Himalayas (India, Bhutan and Nepal) as a tour guide and lecturer for European agencies. Martin is a collaborator for the research program “Archaeology, arts and material culture of the Tibetan cultural realm” at the East Asian Civilisations Research Centre (Paris). He is an associated researcher to the team “Archaeology of Central Asia” (research unit ArScAn (Archéologies et Sciences de l’Antiquité, UMR7041, under the aegis of the French National Centre for Research, University of Paris 1 Panthéon-Sorbonne and Paris-Ouest Nanterre la Défense) located at the Maison René Ginouvès for archaeology and ethnology, Nanterre. Dr. Aurore Didier is a CNRS (National center for scientific research) researcher affiliated to the team ‘Archaeology of Central Asia’ (research unit ArScAn -Archéologies et Sciences de l’Antiquité, UMR7041, under the aegis of the French National Centre for Research, University of Paris 1 Panthéon-Sorbonne and Paris-Ouest Nanterre la Défense) located at the Maison René Ginouvès for archaeology and ethnology, Nanterre. She is an archaeologist specialized in the Protohistorical study of the Indo-Iranian regions (Pakistan, Northwestern India, Southeast Iran, Afghanistan) with a particular interest on the Indus civilization. She has worked for more than a decade in Pakistan (Balochistan, Sindh) and she manages the French Archaeological Mission of the Indus Basin (MAFBI) since 2013. 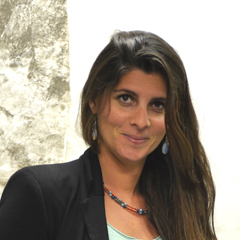 Aurore participated in MAFIL’s 2013 and 2014 campaigns and led a pioneering techno-stylistic study and a first typological classification of the ceramic of Nubra Valley. S.B. Ota was co-director of the MAFIL first-four year project (2013-2016). Until November 2017 he was joint director of the Archaeological Survey of India, Delhi. He was previously Regional Director for the Central Region. He also served as director in charge of the Indira Gandhi Rashtirya Manav Sangrahalaya (Bhopal). Among many his fields of interest include prehistory and field archaeology. His recent research projects in prehistory are: the exploration and excavation of an Acheulian site at Tikoda (district Raisen, Madhya Pradesh) and the exploration of early human occupations in Ladakh. He led exploration in Ladakh as early as the 1990’s. As a member of the ASI, S.B. Ota undertook a large number of archaeological investigations in different parts of India, including archaeological investigations of the submergence area of the Narmada Valley Dam Project in Madhya Pradesh. He has also undertaken the structural conservation of several protected national monuments and has managed the World Heritage Sites of Sanchi, Khajuraho and Bhimbekta. He is a recipient of the ‘Youth Scientist Award’ from the Indian Science Congress Association. He was also awarded the Charles Wallace Indian Trust Fellowship. 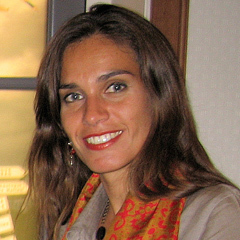 Chamsia SADOZAÏ is an associate researcher of CRAterre Laboratory in Grenoble, France. After her Master in archaeology she specialized in architecture preservation in archaeological contexts, more precisely on earthen material. She took part in excavations in Afghanistan, Uzbekistan, Turkmenistan and France. Since 2012 Chamsia is a freelance professional in the field of conservation. In collaboration with architects and engineers she has worked in Oman, Armenia, Bangladesh, Turkmenistan, Tadjikistan, Ladakh and Iraqi Kurdistan. Discussions with members of heritage institutions is a keynote aspect of her work, to find together with all stakeholders adapted solutions to preservation problems on an archaeological site. Her main activities are : applications for nomination on international heritage lists (World Monument Watch), mediation and decision making with stakeholders, technical diagnosis, planning and implementation of preservation works, building management plan and training on technical aspects. 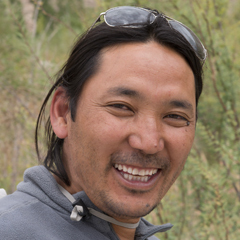 Born in a semi-nomadic family in Gya village, Upper Ladakh, Stanzin Dorjai is an international award-winning documentary filmmaker graduated in Arts from Jammu University. Despite his ever more fully scheduled agenda, Stanzin has been faithfully documenting MAFIL’s work since 2014. Together with French director Christiane Mordelet, his longstanding collaborator, they are planning a documentary, on MAFIL’s activities. Stella BICKELMANN is a Senior Archaeologist at MOLA (Museum of London Archaeology). 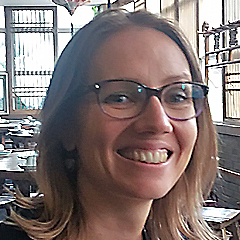 She has over 15 years of archaeological field experience and supervises small to large scale archaeological excavations, including complex urban sites in London. She has a particular interest in the cultural heritage of South Asia. In 2001 she completed her MA History of Art and Archaeology at School of Oriental and African Studies in London and has since worked on a number of archaeological research projects in Pakistan, Afghanistan and India. Stella joined MAFIL in 2016 for the archaeological excavations of the Leh Choskor site in Ladakh. Dr. Ajmal SHAH is working as Assistant Professor of Archaeology and Curator at Central Asian Museum of Centre of Central Asian Studies, University of Kashmir, Srinagar. He has completed his doctoral Studies on Kushan Period in Kashmir Valley at Deccan College, Post Graduate and Research Institute, Pune, India. He has been actively engaged in archaeological explorations and excavations in Jammu & Kashmir from last eight years. Apart from the other fellowships like ICHR and UGC, Dr. Ajmal Shah has been the recipient of the prestigious Tagore Fellowship from Ministry of Culture, Government of India. He has participated in the excavations at Farmana, Rakhigarhi in Haryana and Junnar in Maharashtra, India. Dr. Ajmal Shah has conducted several archaeological explorations in Kashmir valley and quite recently has been the director of the excavations at Ahan, a Kushan site on the sub-section of the ancient Silk Route in Kashmir valley. He has also co-directed an international project entitled “Archaeological Studies of migration routes from Central Asia to Kashmir”, funded by Gerda Henkel Stiftung (Germany). He has been instrumental in doing collaborations with international academic institutions like Institute of Archaeology and Ethnography, Russian Academy of Sciences, Siberia, Russia and Ecole Pratique des Hautes Etudes (EPHE-PSL Research University), Paris, France. He has presented his research in international conferences in India, Russia and USA. Dr. Ajmal Shah is a member of several international academic societies. 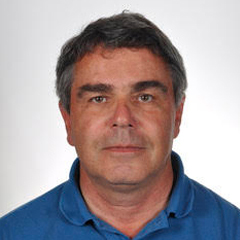 Prof. Jean-Luc EPARD is a geologist, professor at the Institute of Earth Sciences of Lausanne University (Switzerland). His researches focus on the formation of mountain ranges, such as the Alps and the Himalayas. He took part in about 15 scientific fieldworks in the Indian Himalayas, 11 in Ladakh itself. He came to know this region very well and appreciates it very much for its inhabitants, culture and landscape. 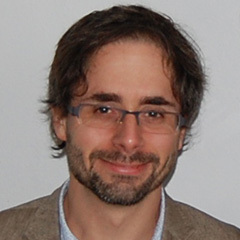 After higher education studies in management of the environment and geomatics at the Federal Ecole Polytechnique of Lausanne (Switzerland), Abram Pointet, pursued within the same institution a doctoral thesis in Science of the geographical information and cultural anthropology. Fascinated by the Tibetan world for many years, he pursues in a private capacity a work of precise systematic mapping of Ladakh and nearby regions. This work led to the publication of several editions of public trekking and general maps of Ladakh and its regions (Olizane Publishers, Switzerland). In addition, Abram draws specific maps for publications and to support certain expeditions or scientific missions in Ladakh. Professor of prehistory at the French National Museum of Natural History, Hubert Forestier is a specialist of Asian prehistory. For more than twenty years, he has lead researches in East and Southeast Asia. He lived for several years in Indonesia. He also has interest in the lithic production of the Indian subcontinent and in that of the Himalayan area, in a regional evolutionary perspective. He took part in the 2013’s MAFIL campaign. His analyses focus on the study of lithic technologies described as “emergent” and imply technological and typological approaches such as the Hoabinhian phenomenon in Southeast Asia / South China or laminar cutting in East Asia. The trans-chronological approach of his work concerns the first Human industries dated 2 M.Y. in China (site of Longgupo), the bifacial assemblages from Sumatra as well as Hoabinhiens tools of the Modern Man from Cambodia, Laos and Thailand. 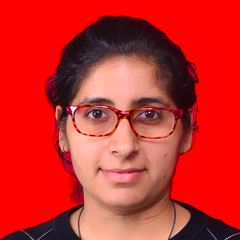 After pursuing her Masters from Delhi University in Ancient Indian History, in 2014 Ekta SINGH joined the team of HNB Garhwal University who were working on Himalayan Archaeology which inducted her interest in it. Since then, she has participated in various fieldworks and assisted many national and international projects. She has worked with eminent archaeologists like the team of HNB Garhwal University in Kinnaur and Spiti, Prof. Mark Aldenderfer in Mustang (UC Merced, USA), Dr. Parth R. Chauhan in Narmada valley field school, the team of IGNCA in documenting rock art in Spiti and MAFIL Team in excavating Leh Choskor site in Ladakh. Right now she is pursuing her Phd in archaeology focusing on Spiti valley. 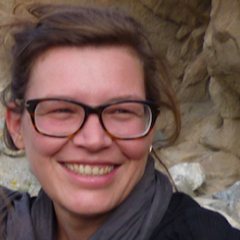 Marion POUX is a PhD candidate in archaeology at the Ecole Pratique des Hautes Etudes (EPHE, PSL Research University) where she focuses her work on the study of the archaeological remains of Mustang, (Nepal) with a particular interest in mortuary practices. After a Master of Science in Human Osteology and Funerary Practices at the University of Sheffield (UK) she started working in Italy to then turn her interest towards Himalayan archaeology. Since 2014 Marion has taken part in several archaeological missions in Nepal under the supervision of Prof. Mark ALDENDERFER (UC Merced, USA) and in collaboration with the Department of Archaeology of Nepal. In 2016 she took part in the archaeological excavation lead by the MAFIL on the site of Leh Choskor. 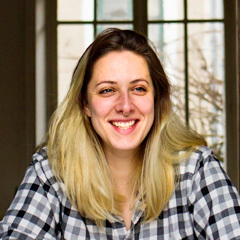 Samara BROGLIA DE MOURA is a PhD candidate in archaeology at the École Pratique des Hautes Études (EPHE, PSL Research University). Her doctoral researches focus on the ceramic production of Ladakh and the material and cultural interactions between this region, Central Asia, Tibet and India. She has participated since 2011 in several archaeological missions in Afghanistan (Mes Aynak), Uzbekistan (Termez and Bukhara) and Nepal (Mustang). Since 2015, in the frame of the MAFIL, she carries out material studies at the site of Leh Choskor and also takes part in excavations there. 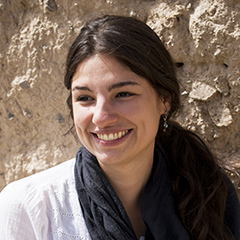 Also, Samara is currently working as scientific collaborator at the Délégation Archéologique Française en Afghanistan (DAFA). 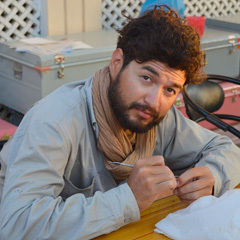 David SARMIENTO-CASTILLO is archaeologist, PhD candidate in the team ‘Archaeology of Central Asia’, ArScAn (Archaeologies and Sciences of the Antiquity JRU7041 – CNRS) and Deputy Director of the French Archaeological Mission the Indus Basin (MAFBI). He took part in archaeological fieldworks in Uzbekistan, Turkmenistan, Iraq and Armenia. Since 2011, he contributes to the research program “Indus – Baluchistan” of ArScAn and to the publication works of the French archaeological missions on the protohistory of Pakistan. 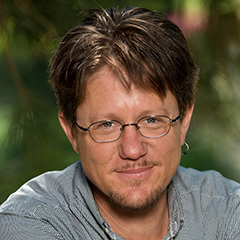 As part of his work in Pakistan, David develops training programs (documentary engineering in archaeology and Digital Humanities) intended for students and young professionals of local heritage. Pascale Dollfus (ethnologist, CNRS, Centre d’Etudes Himalayennes, Villejuif) ; Christian Faggionato (tibetologist and historian, SOAS, London) ; R.K. Ganjoo (professor, geologist, Jammu University) ; Amita Gupta (Phd candidate, HNB Garhwal University) ; Amy Heller (tibetologist and art historian) ; K. Krishan (professor of archaeology, Maharaja Sayajirao University of Baroda, Vadodara, Gujarat) ; Sudhir Nautiyal (engineer, HNB Garhwal University) ; Tsering Phunchok (archaeologist, director ASI Leh Mini Circle) ; Nagendra Rawat (post-doctoral researcher, HNB Garhwal University) ; Dieter Schuh (professor in Tibetology, International Institute for Tibetan and Buddhist Studies GmbH). H.J. Barapatre (illustrator, ASI, Nagpur) ; Stella Bickelmann (field archaeologist, Museum of London) ; Christian Camerlynck (geophysician, Pierre & Marie Curie University, Paris, France) ; Quentin Devers (archaeologist, CRCAO/UMR8155, Paris) ; Pascale Dollfus (ethnologist, CNRS, Centre d’Etudes Himalayennes, Villejuif) ; Claire Gaillard (prehistorian, CNRS, Paris) ; Amy Heller (tibetologist and art historian) ; S.M. Khairkar (photographer, ASI, Nagpur) ; K. Krishan (professor of archaeology, Maharaja Sayajirao University of Baroda, Vadodara, Gujarat) ; Rajesh Kumar (Phd student, Maharshi Dayanand University, Rohtak) ; Sébastien Monnier (geomorphologist, Centre for advanced drylands studies, La Serena, Chili) ; Debashish Mishra (photographer, ASI, Bhopal); N.K. Nimje (photographer, ASI) ; Sunder Paul (director, ASI, mini circle Leh) ; Tsering Phunchok (archaeologist, ASI, Leh Mini Circle) ; Marion Poux (Master student, EPHE) ; Dieter Schuh (professor in Tibetology, International Institute for Tibetan and Buddhist Studies GmbH) ; Rachel Silveston (independant photographer, Switzerland) ; Ekta Singh (Phd student, HNB Garhwal University) ; Kumar Singh (assistant archaeologist, ASI, Bhopal) ; Joël Suire (topographer, CNRS, Paris Nanterre) ; Sachin Tiwary (associate professor, Banaras Hindu University) ; Fanny Villette (Master student, EPHE, Paris). Mr. Tsewang Gonbo (director at Lungta Tour Operators, Leh) ; S.B. Gurong (General director at Adventure Tours, New Delhi), Sonam Rinchen , R. Raina and his team (Adventure Tours, New Delhi) ; Phalgon Rigzing (guide and aide-de-camp) ; Tsetan Spalzing (cook).